The human brain is a delicate, complicated organ. To prove the nature and extent of a brain injury, an attorney must understand the anatomy, structure and diverse functions of different areas of the brain. The attorneys must also know how to recognize signs of brain injury, which are sometimes subtle and may have not been medically diagnosed. Proving brain injury claims involves complicated medical issues and the use of highly specialized expert testimony. 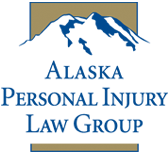 The attorneys at Alaska Personal Injury Law Group have successfully handled cases of serious brain and cognitive dysfunction arising from automobile and airplane accidents, scuba diving accidents, and pharmacological-induced stroke. Mr. Vollertsen obtained what is believed to be largest verdict in Alaska for a drug-related brain injury in Talbert v. E'Ola Products, Inc. ($13.3 million). There a woman suffered a stroke, and resulting cognitive deficits and partial paralysis, from taking a diet supplement that had been illegally "spiked" with ephedrine hydrochloride. 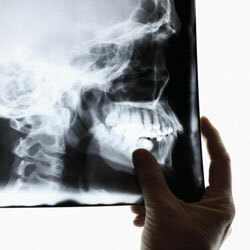 We have also handled brain injury claims arising out of oilfield explosions, car crashes, drowning, and gunshot wounds. Contact us. Brain injuries involve uniquely complex damage issues in addition to the normal legal challenges. We are experienced in this area and can help you with your claim. Traumatic Brain Injury Is A Cause Of Depression Depression is often one of the difficult conditions clients of the Alaska Personal Injury Law Group face following traumatic brain injury (TBI).